With its 5″ high resolution color LCD screen, the STU-530 is the ideal signature pad for use at the POS or customer-facing counter. It offers a very comfortable signing experience with an improved, thin design and a low-profile, flat surface. In addition to capturing handwritten signatures, it can be utilized for branding, marketing or advertising purposes. 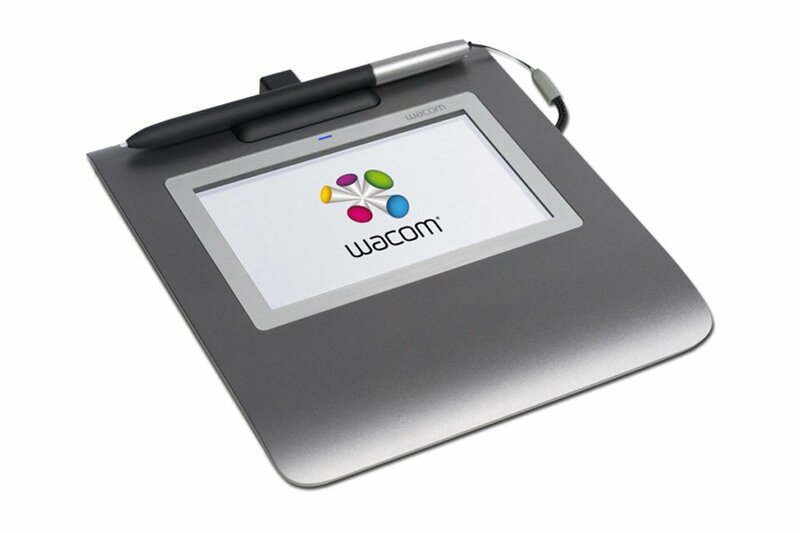 The pen features 1024 levels of pressure sensitivity for natural signature capturing, fulfilling legal standards. For secure and safe transactions, AES 256 bit encryption and RSA 2048 bit key exchange is included in the pad. Each unit is assigned a unique hardware ID in order to determine the exact unit that was used for a particular signature. The Wacom pen can be tethered to the pad so it can’t get lost. The STU-530 is made for high traffic areas, especially at counters and check-out systems, yet it is also compact and durable for use in the field.